Eight years ago today my nephew Mark was born. I can’t think about Mark now without also thinking about my niece Colby, who was born in January of 2010. Both of them were born with different, fatal birth defects. Mark had Anencephaly: A congenital absence of the brain and cranial vault, with the cerebral hemispheres completely missing or greatly reduced in size. Colby had Trisomy-18: A genetic disorder in which a person has a third copy of genetic material from chromosome 18, instead of the usual two copies. Mark and Colby taught me that there may be a greater hand at work. Unless you have, or someone close to you has, experienced problems in pregnancy, you’re not thinking much about the possibility of problems, which is as it should be. You’re certainly not expecting to go in for an ultrasound to learn that your baby has a fatal birth defect. Discovering there’s a problem is only the first step in what lies before you. Because then? You have to make a decision. Carry to term, or terminate? You have to weigh your decision against the cost to your soul. Then you have to follow through on your decision. All the way. What I know is nobody can make a decision about your baby for you. I also know that if you question the decision you made about your baby, it means you’re human. In both of these cases, my sister and sister-in-law carried to term. They dealt with strangers coming up to them, patting their bellies, and making small talk about the baby. All the while, they didn’t know if their babies would be born alive, and if so, how much time they would get together. They dealt with the endless appointments and astronomical medical expenses. They dealt with their own fear while soothing that of their other children. They still deal with their own grief. As far as that greater hand at work goes. Mark and Colby pushed aside all of my preconceived ideas about The Way Things Should Be With Babies. What’s a lifetime? What’s a success? What is beautiful? Mark and Colby were both born alive. Many babies with these defects aren’t. They both were born with hair! And itty bitty feet. They got to be held and loved. They brought the family together in unexpected ways. Their brief lives were welcomed and celebrated. We’re all left with many questions unanswered. Lots of Why’s. But if all our questions were answered in life, what would be the point of seeking? What would be the point of anything? Rarely is there an immediate answer to any Why. Why gets answered later, in its own time. I’ve heard that grace is when god does for you what you can’t do for yourself. This, to me, is that greater hand at work. I still don’t use the phrase, “Everything happens for a reason.”. Yet I am at peace knowing that there very well may be reasons that simply haven’t been revealed yet, and I’m not actually entitled to all the answers. You never “get over” something like this, whether you are a parent, grandparent, friend, or other relative. You are forever changed. Beth and Dave, Jeff and Melissa, thank you. Thank you for your grace. This post is a call to action to all of you: make today count, whatever that means for you. Always make today count. Posted on June 26, 2011 by JM RandolphPosted in UncategorizedTagged anencephaly, babies, birth defects, family, grace, JM Randolph, parenting, trisomy 18. “Yet I am at peace knowing that there very well may be reasons that simply haven’t been revealed yet, and I’m not actually entitled to all the answers.” Well stated. And incredibly well written. The strength of the human spirit never ceases to amaze. You are very wise. Quite profoundly as a matter of fact. So true. We are not entitled to all of the answers. And yet, we just naturally feel we should understand and know why?! WHY! Oh, I have spent many years in misery asking that same question, over and over, about the darkness in this world. Then decided to focus on what is good. I can understand that easily enough. Why torment ourselves any further? 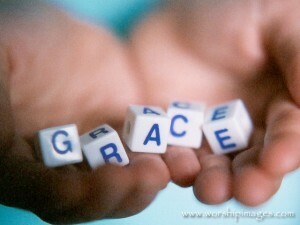 Grace is the word. You’re so right. Thanks for todays thought. I believe there is a reason behind everything. I have to. If I didn’t then the pain in my life I’ve had to endure would seem pointless and without meaning. I choose to believe I’ve had to go through some of that fire to prepare me for additional trials that may come along in my life, or to be able to recognize and appreciate the small miracles and moments of peace when they occur. Children that suffer, however, are one of those things I’ve found difficult to understand. And I can’t imagine the pain that a parent must go through dealing with that. Thank you for reminding me that I have so much to be thankful for if not for any other reason than my children are healthy. Oh Lord. You’re not supposed to make me cry on a Monday morning. Beautiful post. Thanks. Beautifully said… you brought tears to my eyes. My nephew was medically at “higher likelihood” for T18. My sister struggled through Christmas wondering if he would ever have one. She worried about whether he would survive birth, and if it would be better or worse for him – and the rest of us – if he did, or didn’t. Thankfully, he doesn’t have the condition, but when I read about Colby, and of course Mark, my heart went out to you as the aunt who worries not only for the child, but for the mother, the father, the grandparents and everyone else. I know many other moms who lived with that kind of uncertainty and fear, and many others whose fears came true and now they deal with it every day. Grace is the only thing that can get the job done. Other events nullified by prefious faith that everything happens for a reason, but thank you for putting what I’ve come to accept into such wonderful words. And Happy Mark’s Aunt Day. Wow. 😦 sad and inspiring. Seems we’ll never know why things go the way they go. There is definitely a bigger hand at work. Thank you for sharing such a personal story. An encouraging, loving, open blessing to all who will read it. Everything has already been said, but I wanted to tell you that this moved me. It was wonderfully written, thought provoking, emotional and wise. Thank you for sharing. You made me cry. As someone who suffers from infertility “everything happens for a reason” makes me cringe. However, if I am honest with myself, I have to admit that i believe in that phrase. I have to remember that I’m not owed an explanation, and finding grace in things that are difficult to understand may take time, but it’s there. Always. Your story reminded me of that recording. So sad and yet so beautiful at the same time. Even though my life is very good (maybe too good/easy sometimes), I find myself forever thinking that somehow things are not quite good enough. So I am rarely content and miss out on much of life’s joys as a result. And you are right- much good does come from challenges that we would never choose ourselves. I really have no words. Some day I may not have time to read books like I do now. But I am sure I’ll always find time to read this blog. A very well written post… Hats off to you! I like to reply to comments, but on this post all I have to say to you all is thank you. Thank you so much. What a lovely post. It must have been very difficult to compose. Thank you for sharing, sweet girl. When I signed on to your blog today, I wasn’t expecting to be brought to tears. You, as you always are, are inspirational. Thank you for everything. Gosh, this was intense to read. INTENSE. I think it speaks to how suffering is the basis for our compassion, and without it, we wouldn’t be enriched in the way that is essential for us to find and understand love. I think these two children did so much for the world in their short lives. They brought people together, they taught us true unconditional love, and they also taught us the ephemerality of life, which is so precious. Those are some of the most important things anyone could ever learn. For that reason, there lives held such great beauty, they brought so much to the world. I don’t think you’ll ever forget them, and that is a very good thing. Thank you for sharing the lives of Mark and Colby with us. This is my first visit to your site, and I am moved beyond words. What a beautiful post! Thank you so much for sharing it with us–your readers. I have always considered the phrase, “Everything happens for a reason” to be both inconsiderate to use and short-sighted. In tragedy, we never truly know how the other person feels. Especially when it happens to others we know, it is not always our place to seek understanding. What is remarkable though is what happens when we simply choose to be part of someones life by just being there. This can have a profound effect because it allows a feeling of acceptance for many of us. On the flip side, what we might perceive as tragic for one person, internally they might experience such a situation differently. If I may share some thought, perhaps from God’s perspective the following words make sense and add an element of acceptance for us in how we can relate or are related to each other on this earth. God is holy. All things created by God are holy. Therefore, we are holy. How do you and I choose to allow God’s holiness to be evident in this world? During all times, allow and give a sense of acceptance, love and appreciation for one another. This creates a communal spirit for one another, allowing God’s presence during all tragic and non-tragic moments. For particular tragedy, there is really no explanation which needs to be sought or understood. We simply know that tragedy, for a moment, can exist and so can peace. Perhaps, that is more than enough to help us help one another. A and I just had the conversation last night: What will we do if we discover our new little one has fatal birth defects? I thought it might be a long discussion, but . . . it was maybe twelve seconds. “We give the baby the best life possible for as long as it has.” It’s a different answer than I think either of us would have given four years ago, but then . . . four years with a little one changes thoughts and feelings. Each day does. Each day I say thanks that I got one more day. Time spent with a kid definitely does change your perspective on these things. I understand a lot more than I used to. Thanks for stopping by. Reblogged this on Heaven In Chocolate.